Clth, 10 x 12 in. / 128 pgs / 100 color. "My art is about seeing yourself seeing." Text by Carmen Giménez, Nat Trotman, Arthur Zajonc. The artist’s first solo exhibition in a New York museum since 1980, James Turrell considers his long-standing explorations of perception, light, color and space with special attention to the role of site-specificity in his practice. Local audiences find new occasion to experience his work through a major new project created especially for the Guggenheim, Aten Reign (2013), recasting the museum’s rotunda as a volume of shifting natural and artificial light. One of the most dramatic transformations of the museum ever conceived, the installation reimagines Frank Lloyd Wright’s iconic architecture--its openness to nature, its graceful curves, its magnificent sense of space and light--as one of Turrell’s Skyspaces. Experienced for the first time only from below, the rotunda appears not as an open void but as a mass of vibrant color that expands and contracts above the heads of visitors, and at the installation’s core, daylight from the museum’s oculus connects the work to the outside environment. Through these interventions, Turrell rekindles the museum’s identity as a “temple of spirit” (to quote the museum’s first director, Hilla Rebay), encouraging a state of meditative contemplation. This full-color catalogue accompanies the exhibition at the Guggenheim, detailing the production of the rotunda installation and situating it in the context of Turrell’s career. 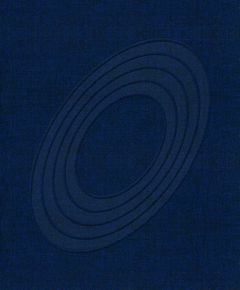 In addition to beautifully reproduced images featuring the artist’s early works, his magnum opus Roden Crater Project (1979– ), and documentation of Aten Reign, this volume includes essays by the show’s curators, Stephen and Nan Swid Curator of Twentieth-Century Art, Carmen Giménez, and Associate Curator Nat Trotman, and Arthur Zajonc, Emeritus Professor of Physics at Amherst College. 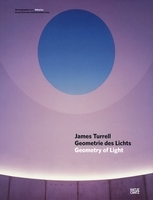 As an undergraduate, James Turrell (born 1943) studied psychology and mathematics, transitioning to art at MFA level. A practicing Quaker, one of his earliest memories is of his grandmother inviting him to “go inside and greet the light” at Quaker meetings. 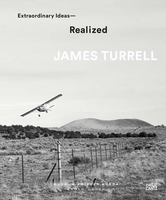 The recipient of several prestigious awards such as Guggenheim and MacArthur Fellowships, Turrell lives in Arizona. 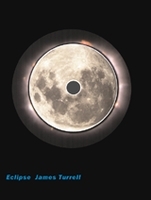 The catalogue produced at the Guggenheim situates 'Aten Reign' (2013), an installation created specifically for the museum, in the context of Turrell's previous works, while an entire section is devoted to Roden Crater, Turrell's naked-eye observatory in Flagstaff, Ariz., a Land art project perpetually in progress. 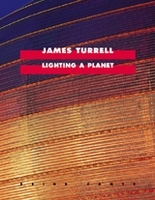 Starting in May 2013, James Turrell will be lighting up museums across the country. Three successive Turrell exhibitions are taking place: the first in Los Angeles at LACMA, the second in Houston at the MFA and the Guggenheim in New York. It's a once in a lifetime opportunity to view this many of Turrell's immersive light environments over one period of time. This is the catalogue to the Guggenheim leg of the trip. Most of Turrell's key site-specific installations are outside major cities. His most ambitious and continuing project is at Roden Crater in Arizona, where he designed and excavated a multi-chambered, naked-eye observatory out of an extinct volcanic crater. Recognizing the challenge of accommodating his expansive vision within the confines of a single museum, the organizers passed over the standard model of a single traveling retrospective in favor of this collaboration of complementary exhibitions. The Guggenheim will have the most anticipated of any of these shows. For the exhibition, Turrell is creating a major new skylight installation called Aten Reign, designed specifically for the museum's central rotunda. Frank Lloyd Wright's iconic design will be revealed anew through beaming spectrums of light mixed with the natural illuminations from the building's skylight. Over the years we've had a few Turrell catalogues from European venues. This is the first from a major U.S. museum and the Guggenheim exhibition marks the first New York show of his work since 1980. Text by Markus Brüderlin, Richard Andrews, Annelie Lütgens. 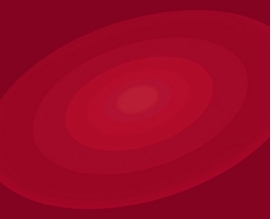 Text by William P. Banks, Jimena Blázquez, James Turrell, Sharon G. Goto, Michael Govan. Edited by Ursula Sinnreich. Text by Gernot Böhme, Julian Heynen, Agostino de Rosa. Edited by Wolfgang Hausler. Essays by Andrea Jonas-Edel, Karl Karau, Jan Linders, Klaus Reese. Introduction by Bernd Bauer. Edited by Peter Noever. Essays by Daniel Birnbaum, Georges Didi-Huberman, Michael Rotondi, Paul Virilio. Edited by Michael Hue-Williams. Texts by Maurice Merleau-Ponty, Robert Solso. Artwork by James Turrell. Edited by Peter Noever. Contributions by Georges Didi-Huberman. Text by Daniel Birnbaum, Paul Virilio. FORMAT: Clth, 10 x 12 in. / 128 pgs / 100 color.